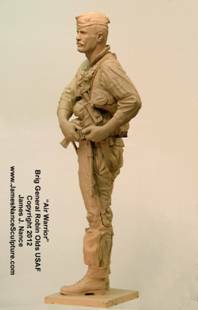 The USAF Academy graduating class of 1971 proudly announces the official approval of the Air Warrior Combat Memorial (AWCM). 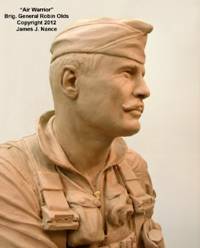 The memorial will feature a Life sized bronze figure sculpture of Brigadier General Robin Olds flanked by three bronze aircraft in 1/6th scale representing the three aircraft General Olds flew in two wars to become a triple ACE: the P-38, P-51, and the F-4. 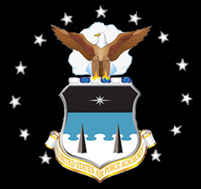 The memorial project was conceived as a class gift to the Academy from the Class of 1971 and has been in planning and development for four years. 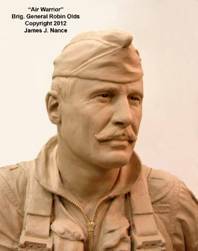 The original concept was to create a statue to honor Robin Olds. 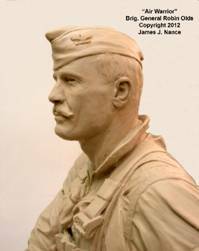 However, the class soon realized that the core values of the “Warrior Ethos” which defined Olds’ career were inseparable from his legacy. 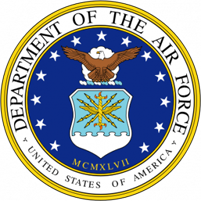 With this guiding principle, the AWCM evolved and will serve to honor all Air Force Warriors who “fly and fight” in harm’s way. The AWCM has been approved for location at the B-52 airpark near the North Gate of the Academy and will be open to the public during Academy visiting hours with access through the North gate. The dedication will be scheduled for the class of 71’s forty-fifth reunion in the fall of 2016. 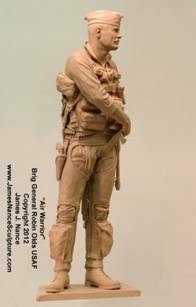 While the primary portion of the funding for the AWCM will be borne by the Class of 1971, the class welcomes participation from all who respect the Air Warrior Ethos, as well as friends and admirers of Robin Olds. The fund raising campaign is currently being coordinated with the USAFA Endowment Group, and donations will be gratefully accepted. 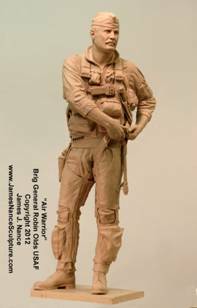 Anyone wishing to learn more about the project or donate may visit the memorial website at www.airwarrior.org. (note: address is .org not .com) You may also just Google “Robin Olds, Air Warrior.” The web site donate button will link to the USAFA Endowment donation page. The Class of 1971 thanks you in advance for your support for this important project. We hope you will join us in honoring Robin Olds and all Air Warriors. Please post and forward this press release.